I L.O.V.E. the flavor combination of tomato, basil, and mozzarella. It tastes so light and fresh, but is always packed with flavor! Now that I have fresh basil and tomatoes from the garden, this is EVEN better! One night I was trying to come up with a side dish that we don’t have all of the time. I just wanted something different so I searched through the pantry and spotted my orzo pasta. 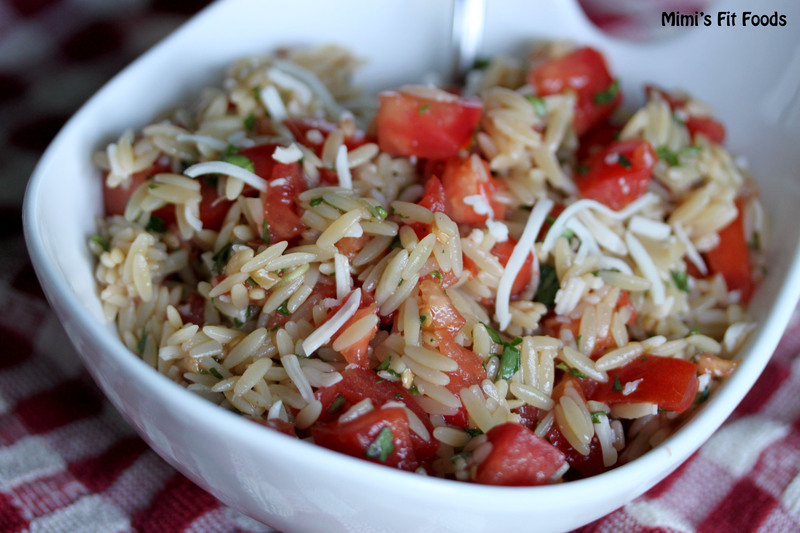 Orzo pasta is a small pasta shape that looks a lot like rice. (I haven’t found this shape in wheat pasta yet, but when I do . . . I will FOR SURE be buying it.) That’s how the creation of this pasta salad started. Cook pasta according to package directions. Drain, rinse with cold water, and transfer to a small bowl. Add remaining ingredients. Toss to coat. Once my tomatoes ripen, I’m having caprese something every day! LOVE.